Why Do I Feel Nausea After I Eat? Find the answer to questions that pique your curiosity in our series, The Short Answer. Gastroenterologist Maged Rizk, MD, fields this question about possible causes for nausea after eating. Of all the things that I see in my clinic, nausea is one of the most challenging because oftentimes, the problem has nothing to do with the gastrointestinal tract. 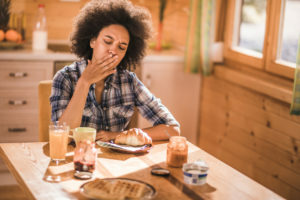 A chronic feeling of nausea could be related to a neurological or hormonal problem, or it could be related to another condition, such as diabetes or gall bladder disease. A person’s medications also can cause nausea. Other reasons for nausea can be related to temporary situations, such as a stomach bug, food poisoning, motion sickness or overeating. For these reasons, it’s important to take a very staged and structured approach when looking for causes of nausea. After a good history and physical examination, we will usually start with an evaluation for common gastrointestinal issues. Once these are excluded, we consider other possibilities.